Body pillows can be a great sleep aid but they tend to be fairly expensive. 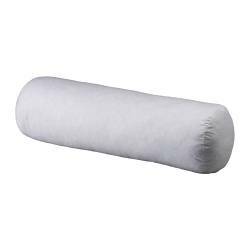 IKEA has a very affordable body pillow called the GOSA MÅBÄR which is about 3 ft long and is ideal for wrapping your arm or leg around to help maintain better posture while sleeping. We often tape the midfoot for severe ankle malalignment problems or acute tibialis posterior tendonitis to relieve the stress of overpronation. The main problem with this is that it isn’t easy to apply and can break down skin over the course of time. The Fabrifoam PSC strap may be a good alternative as it is made of breathable foam and is fastened with velcro. It is important to clean it regularly and make sure it is completely dry before wearing. Ergo Baby Carrier- PTANY approved for our low back patients! Low back pain is one of the most common ailments we see after people become new parents. Often due to poor ergonomics/body mechanics, a person can do herself/himself a favor by limiting stress to their body. The Ergo Baby Carrier is one of the few products that does exactly that. By distributing the weight of the baby through the pelvis rather than the upper body, there is much less chance of straining the upper back muscles. I know from experience as we switched from another carrier when we had our daughter. Makes a great gift for those not knowing what to get for a baby shower! https://ptany.com/wordpress/wp-content/uploads/2016/03/Enfold-PTANY-Logo-300x138.png 0 0 stuart https://ptany.com/wordpress/wp-content/uploads/2016/03/Enfold-PTANY-Logo-300x138.png stuart2008-05-21 02:33:382008-05-21 02:33:38Ergo Baby Carrier- PTANY approved for our low back patients! 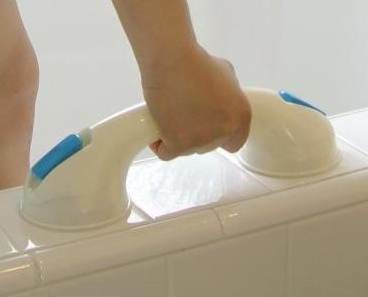 These handles grip smooth surfaces to allow for greater stability for those with strength/balance issues when transferring from various positions. These seem lightweight enough to travel with for those hotels which might not be safety equipped. 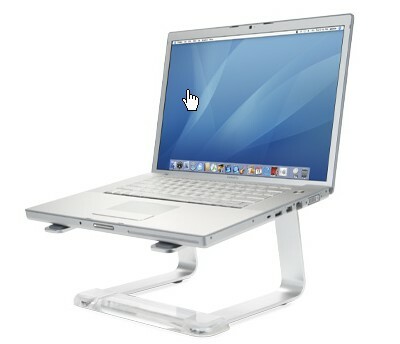 Just found this on Lifehacker– a much cheaper way to elevate your laptop than the Ergotron. The benefit of the Elevator is that it allows for ventilation under the computer but it does take up more real estate than the Ergotron. 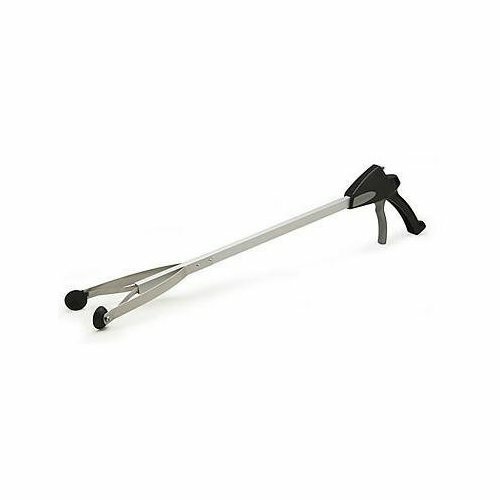 If you find yourself constantly reaching into high or low places, or if you have bad knees, the EZ reacher might just be the thing to prevent low back strain. 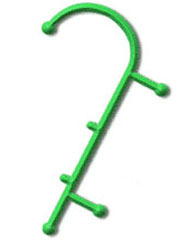 I originally found this on Cool Tools, which gave it a favorable review for durability and ease of use. It might be the perfect thing to give an inflamed knee or back time to heal, especially after a surgery. One of the first recommendations I give to patients with neck/back pain is to raise their monitor to eye level and not to use a laptop as their primary computer. The most resistance I get is from, of course, Mac users because they don’t want to ruin the aesthetic of their setup. I just purchased a iMac and it was the most uncomfortable computer to work on until I raised it a few inches! Hopefully the Stand by Mi can fill that functional void as it raises your monitor 3.3″. 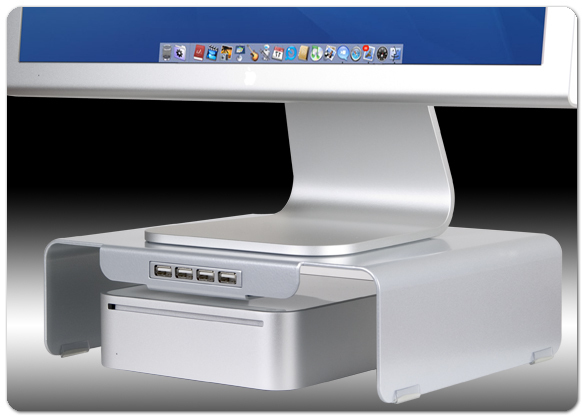 The platform looks like it will support an iMac and it has 4 USB 2.0 ports. update: the Stand By Mi no longer seems to be available, there is a similar product here. It even raises the iMac a little higher. If you are looking for a great space saver for your home gym, you might consider these adjustable ‘click’ weights instead of purchasing a full set of dumbbells. Pictured is a pair of 12.5lb dumbbells which adjusts in 2.5lb increments. 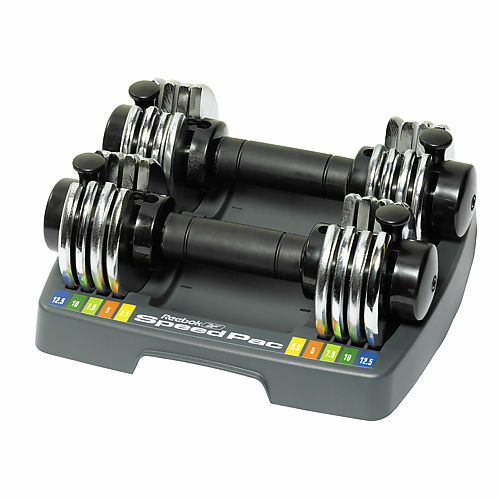 If you desire heavier weights the same thing is available as one Reebok Speed Pac 25-Pound Adjustable Single Dumbbell that adjusts at 5lb increments. There are several higher end brands(Powerblock & Stamina) which cost a lot more(>$150), but I found these at Target for $50. Patients with chronic muscle/soft tissue tightness often need a method to keep their tissues supple on their own, and one of the better tools available for self mobilization is the Theracane. It is especially good for reaching those hard to reach muscles between the shoulder blades and neck. As it may not be appropriate for some injuries, we suggest you consult your physical therapist prior to purchasing it.